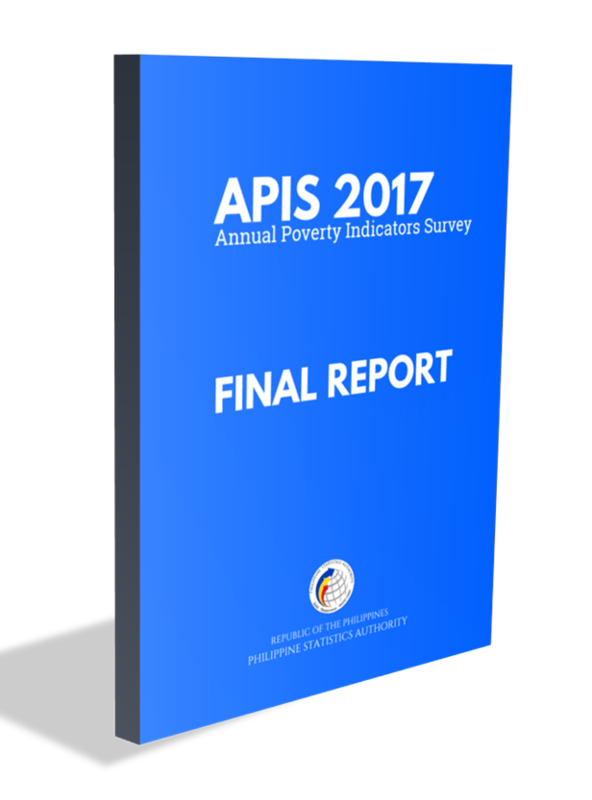 Presents highlights of the Annual Poverty Indicators Survey (APIS), a nationwide survey that presents data on the socioeconomic profile of Filipino families, and other information that relates to their living conditions. It is designed to provide inputs to the development of an integrated poverty indicator and monitoring system in the country, hence, useful to policymakers and researchers in analyzing poverty situation, and in planning, assessing, and evaluating various programs designed for the poor through the use of non-income indicators. Final Report contains national and regional tables as well as graphical presentation of selected demographic, social, and economic data which have been established to be correlated with poverty. Ranking of Provinces gives a picture of how a province fares with other provinces in terms of percentage of low income earners meeting select minimum basic need (MBN) indicators or poverty correlates. Provinces are given a national ranking for each indicator which are then used to come up with the overall rank of the province.